The new bail-in rules were discussed in my last post here. 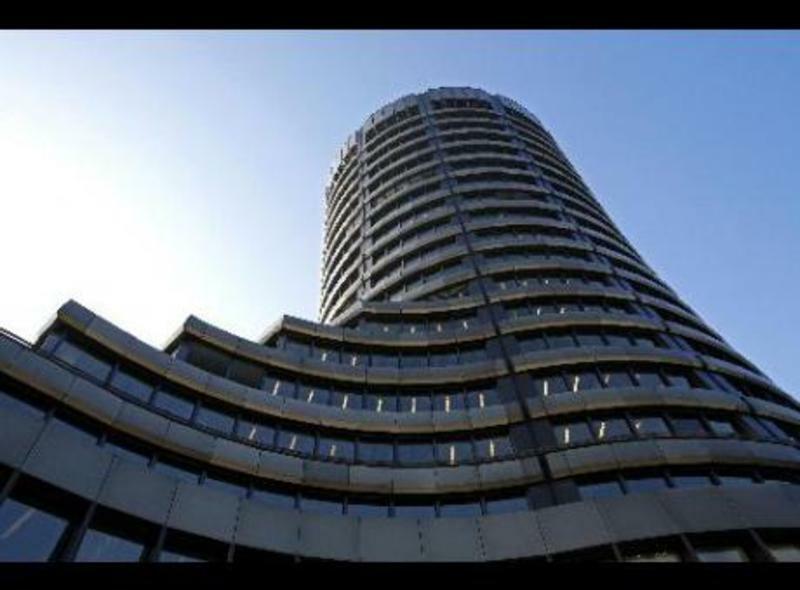 They are edicts of the Financial Stability Board (FSB), an unelected body of central bankers and finance ministers headquartered in the Bank for International Settlements in Basel, Switzerland (image right). Where did the FSB get these sweeping powers, and is its mandate legally enforceable? Alarm bells went off in April 2009, when the Bank for International Settlements (BIS) was linked to the new Financial Stability Board (FSB) signed onto by the G20 leaders in London. The FSB was an expansion of the older Financial Stability Forum (FSF) set up in 1999 to serve in a merely advisory capacity by the G7 (a group of finance ministers formed from the seven major industrialized nations). The chair of the FSF was the General Manager of the BIS. The new FSB was expanded to include all G20members (19 nations plus the EU). Formally called the “Group of Twenty Finance Ministers and Central Bank Governors,” the G20 was, like the G7, originally set up as a forum merely for cooperation and consultation on matters pertaining to the international financial system. What set off alarms was that the new Financial Stability Board had real teeth, imposing “obligations” and “commitments” on its members; and this feat was pulled off without legislative formalities, skirting the usual exacting requirements for treaties. It was all done in hasty response to an “emergency.” Problem-reaction-solution was the slippery slope of coups. Who runs the regulator? The Financial Stability Forum is chaired by Mario Draghi, governor of the Bank of Italy. The secretariat is based at the Bank for International Settlements’ headquarters in Basel, Switzerland. Draghi was director general of the Italian treasury from 1991 to 2001, where he was responsible for widespread privatization (sell-off of government holdings to private investors). From 2002 to 2006, he was a partner at Goldman Sachs on Wall Street. He was succeeded in 2011 by Mark Carney, who also got his start at Goldman Sachs, working there for 13 years before going on to become Governor of the Bank of Canada in 2008 and Governor of the Bank of England in 2012. In 2011 and 2012, Carney attended the annual meetings of the controversial Bilderberg Group. What will the new regulator do? The regulator will monitor potential risks to the economy . . . It will cooperate with the IMF, the Washington-based body that monitors countries’ financial health, lending funds if needed. The IMF is an international banking organization that is also controversial. Joseph Stiglitz, former chief economist for the World Bank, charged it with ensnaring Third World countries in a debt trap from which they could not escape. Debtors unable to pay were bound by “conditionalities” that included a forced sell-off of national assets to private investors in order to service their loans. What will the regulator oversee? All ‘systemically important’ financial institutions, instruments and markets. The term “systemically important” was not defined. Would it include such systemically important institutions as national treasuries, and such systemically important markets as gold, oil and food? How will it work? The body will establish a supervisory college to monitor each of the largest international financial services firms. . . . It will act as a clearing house for information-sharing and contingency planning for the benefit of its members. “Information-sharing” can mean illegal collusion. Would the information-sharing here include such things as secret agreements among central banks to buy or sell particular currencies, with the concomitant power to support or collapse targeted local economies? What will the new regulator do about debt and loans? To prevent another debt bubble, the new body will recommend financial companies maintain provisions against credit losses and may impose constraints on borrowing. As obligations of membership, member countries and territories commit to . . . implement international financial standards (including the 12 key International Standards and Codes) . . . . This was not just friendly advice from an advisory board. It was a commitment to comply, so you would expect some detailed discussion concerning what those standards entailed. But a search of the major media revealed virtually nothing. The 12 key International Standards and Codes were left undefined and undiscussed. The FSB website listed them, but it was vague. The Standards and Codes covered broad areas that were apparently subject to modification as the overseeing committees saw fit. They included money and financial policy transparency, fiscal policy transparency, data dissemination, insolvency, corporate governance, accounting, auditing, payment and settlement, market integrity, banking supervision, securities regulation, and insurance supervision. The code contains transparency requirements to provide assurances to the public and to capital markets that a sufficiently complete picture of the structure and finances of government is available so as to allow the soundness of fiscal policy to be reliably assessed. Members were required to provide a “picture of the structure and finances of government” that was complete enough for an assessment of its “soundness” — but an assessment by whom, and what if a government failed the test? Was an unelected private committee based in the BIS allowed to evaluate the “structure and function” of particular national governments and, if they were determined to have fiscal policies that were not “sound,” to impose “conditionalities” and “austerity measures” of the sort that the IMF was notorious for imposing on Third World countries? Suspicious observers wondered if that was how once-mighty nations were to be brought under the heel of Big Brother at last. For three centuries, private international banking interests have brought governments in line by blocking them from issuing their own currencies and requiring them to borrow banker-issued “banknotes” instead. Political colonialism is now a thing of the past, but under the new FSB guidelines, nations could still be held in feudalistic subservience to foreign masters. Consider this scenario: the new FSB rules precipitate a massive global depression due to contraction of the money supply. XYZ country wakes up to the fact that all of this is unnecessary – that it could be creating its own money, freeing itself from the debt trap, rather than borrowing from bankers who create money on computer screens and charge interest for the privilege of borrowing it. But this realization comes too late: the boot descends and XYZ is crushed into line. National sovereignty has been abdicated to a private committee, with no say by the voters. It seems the world’s bankers have executed a bloodless coup and now represent all of the people in the world. . . . President Obama agreed at the G20 meeting in London to create an international board with authority to intervene in U.S. corporations by dictating executive compensation and approving or disapproving business management decisions. Under the new Financial Stability Board, the United States has only one vote. In other words, the group will be largely controlled by European central bankers. My guess is, they will represent themselves, not you and not me and certainly not America.